It is developed by Hyperbody at the Delft University of Technology as a revolutionary real-time collaborative design environment. 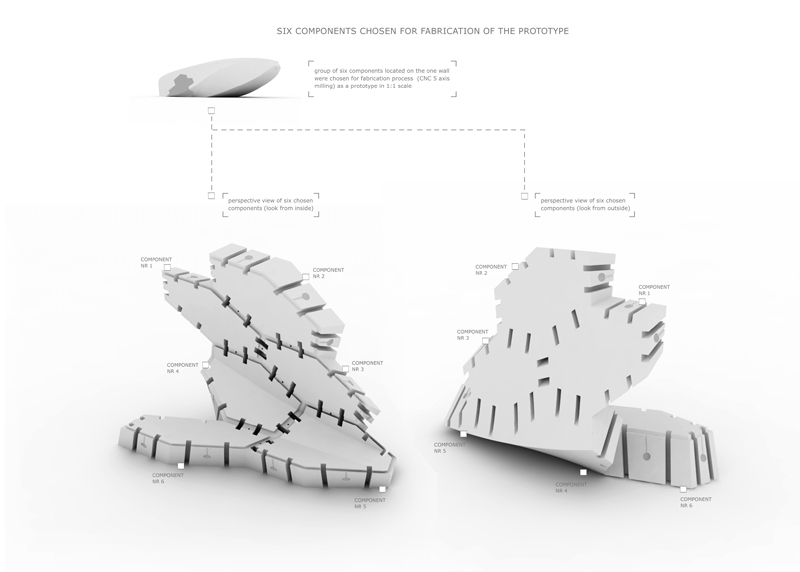 Design of the ProtoSPACE 3.0 pavillion was part of the Msc2 Hyperbody studio at the TU Delft. 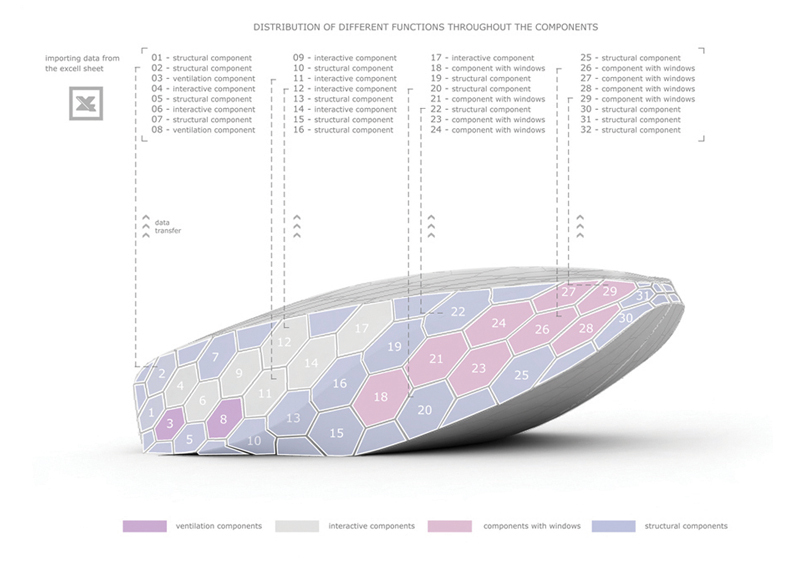 This project puts emphasis on experimentation in data-driven manufacturing methods and their integration into the design process. ProtoSPACE 3.0 is built up of various components that facilitate 1-to-1 file to factory production, ubiquitous sensing and immersive content presentation. 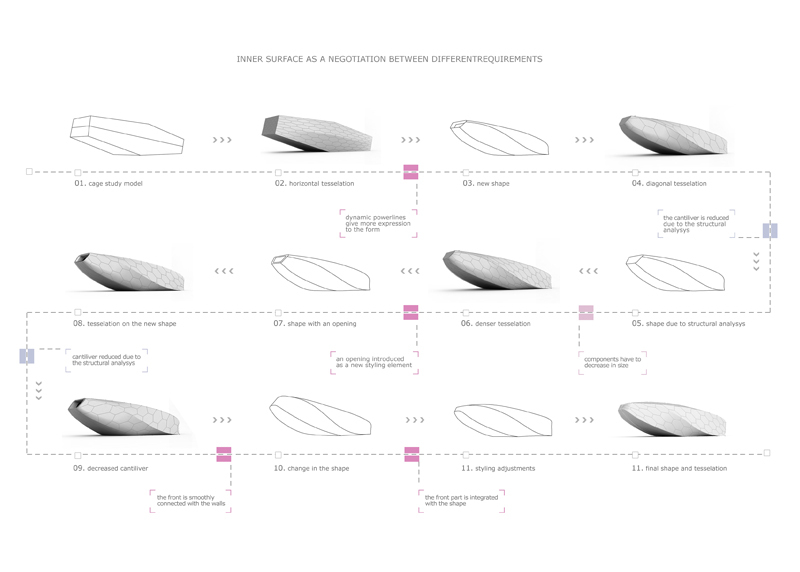 The research team was divided into 5 specialized groups exploring form finding, manufacturing techniques, structural solutions, interaction design and MEP. BIM coordination and generative procedures enabled people from different groups to work simultaneously on the design and inform each other. 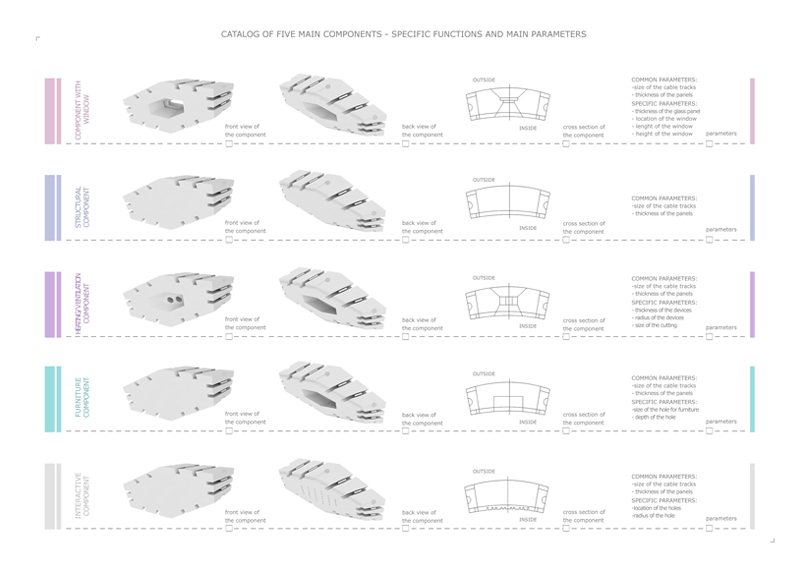 A component based methodology allowed us to incorporate different functions into one typology. 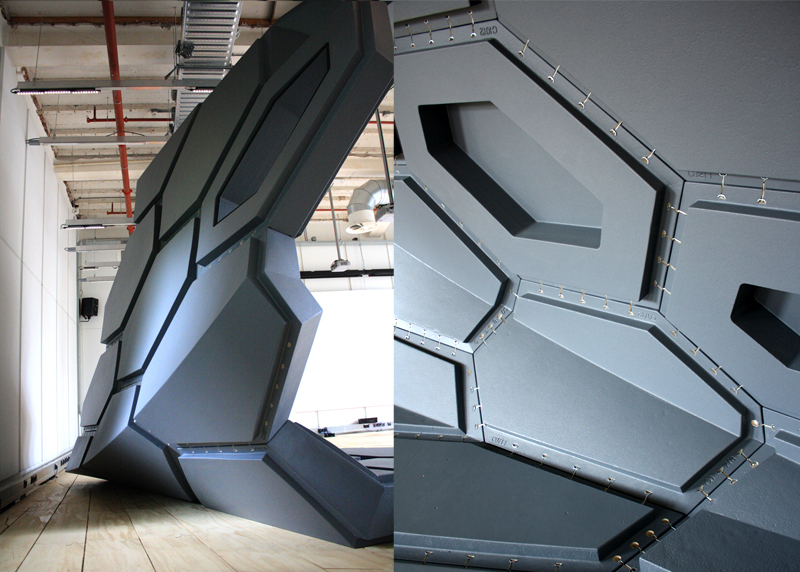 All the pieces were initially designed to be 3D milled out of reinforced EPS foam. Final pieces (1/10 of the whole pavilion) were hot wired out of EPS foam and coated in order to become waterproof and fully structural. Some of the elements have also wooden pieces embedded. Project was further developed by the Hyperbody Research Group (Owen Slootweg, Jelle Feringa, Chris Kievid and others) and part of the building was realized at the faculty of architecture in Delft. More information on www.hyperbody.nl and in the November issue of “Architektenweb magazine” 2010.